Angela Wortley, RDN is a Registered Dietitian Nutritionist based in SE Michigan. She specializes in plant-based nutrition and Intuitive Eating. She also has a special interest in helping women with fibromyalgia live well with this painful condition. She has experience as a clinical dietitian in both inpatient and outpatient settings, counseling patients on nutrition for everything from cancer, irritable bowel syndrome, high cholesterol & triglycerides, PCOS, diabetes, prediabetes, and more. 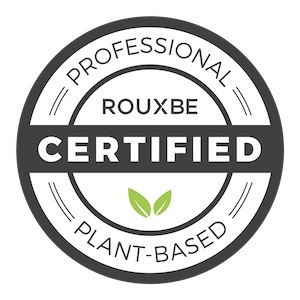 She also holds a Professional Certificate in Plant-Based Cooking through Rouxbe Cooking School, and she's passionate about helping her clients try new ways of preparing plant-based dishes so they taste phenomenal. She's a member of the Vegetarian Nutrition Dietetics Practice Group and regularly pursues continuing education in plant-based nutrition, digestive health, and mindful and intuitive eating. She is currently pursuing Intuitive Eating Counselor Certification.